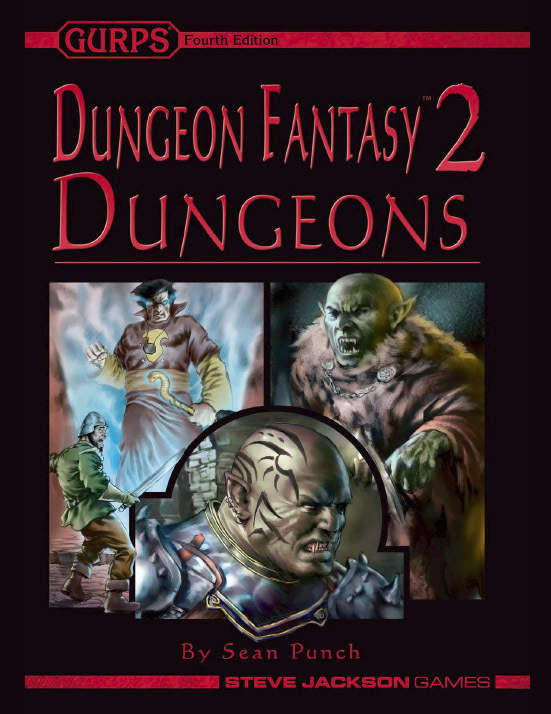 Dungeon Fantasy: Dungeons shows you how to speed up combat, defeat fiendish traps, and dispose of the loot after the battle. Sean "Dr. Kromm" Punch dispenses advice and rules tweaks for GMs as well, including how to balance combat so the players are worried, but still have a fair chance; how to install those fiendish traps; and how to keep everyone – from the bulkiest barbarian to the most wizened wizard – involved from start to finish. Dungeons is a quick reference guide for gamers who want a fast, fun dungeon raid, giving quick-and-dirty rules that are (mostly) compatible with the Basic Set. The shortcuts may not be too sensible outside the dungeon – it's all about adapting generic rules to the cinematic underworld. This volume focuses on running the adventure . . . look to Dungeon Fantasy 1: Adventurers for advice on characters, both building and playing.